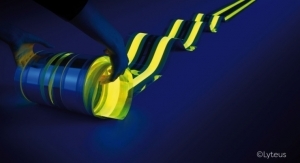 Blue OLED On Silicon Sensor Detects Phosphorescence - The Independent Global Source for the Flexible and Printed Electronics Industry. 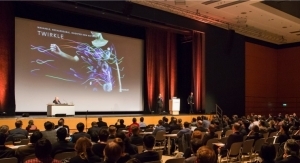 The Fraunhofer Institute for Organic Electronics, Electron Beam and Plasma Technology FEP has been involved in development of OLED-on-silicon sensors for years. The researchers have recently developed a miniaturized phosphorescence sensor that combines a marker and sensor on very small chip surface that could be produced at low cost in the long term. 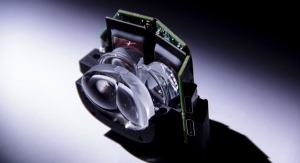 Researchers will present the first prototype of the sensor, which is currently designed for oxygen ratio monitoring, at embedded world 2019, Feb. 26-28 in Nuremberg, Germany. 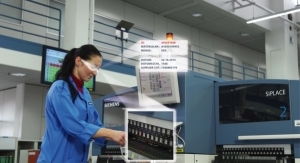 In the course of digitalization and increasingly comprehensive monitoring of processes, automated workflows, and also in biomedical and environmental engineering, the range of choices in sensors is almost unlimited and they are increasingly adapted to the concrete application. 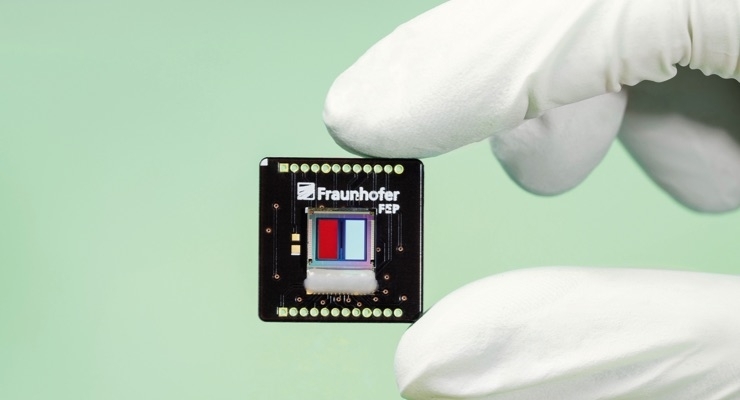 The Fraunhofer FEP has many years of expertise in the development and manufacture of highly integrated OLED-on-silicon electro-optical devices. This has become standard for realizing high-resolution microdisplays in Augmented- and Virtual-reality glasses, and is now increasingly under development for optical sensor solutions. Optical fingerprint sensors have already been created by merging the display and image sensor into a so-called a bi-directional OLED microdisplay. In addition to the display function, the display pixels serve as smart illumination of the finger on the surface, whose features are then detected by the embedded photodiodes. 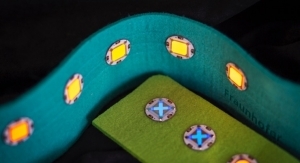 The challenge lays in the design of an extremely small sensor that combines all the functionalities and could be manufactured cost-effectively in future due to its small size. For this purpose, the OLED control and the sensor front-end were integrated into the silicon chip. In the first stage, a miniaturized phosphorescence sensor was developed. This is barely the size of a thumbnail and combines the marker and sensor in a single component. It consists of a blue OLED integrated together with a commercially available marker on the silicon chip. ”Currently, the sensor is designed to detect changes in oxygen level. We have achieved functional verification of the component with this first setup, and can use the miniaturized sensor chip for oxygen measurements in gaseous environments. 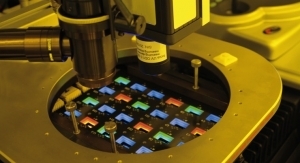 In addition, we see the sensor chip as a platform for future developments, such as the measurement of further parameters and deployment in other environmental conditions,” said Dr. Karsten Fehse, project manager in the Organic Microelectronic Devices group. The monitoring and evaluation of cell cultures in very small disposable culture vessels and in bioreactors is an interesting application example for the technology. Monitoring liquids after the filling process in the pharmaceutical sector, in blister packs, and for quality control of oxygen-sensitive drugs is also conceivable.